Today is Imbolc and winter has reached its fullest depths in our blue-hued mountains. 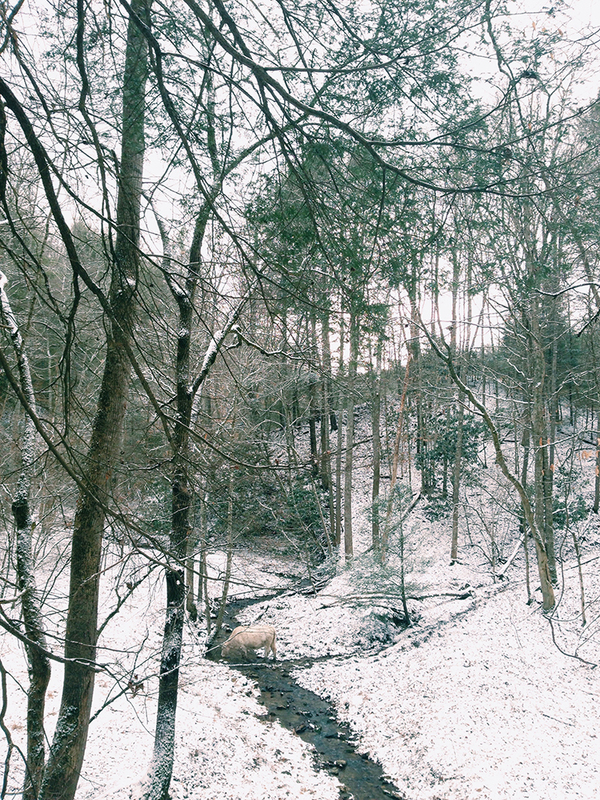 Here in Southern Appalachia we don’t get the same thick quilts of winter-hewn snow as our neighbors farther to the north. Instead, we are tucked in by the frost that touches the early chickweed and the amber fountains of summer’s lemongrass still left in garden plots. The earth resumes a subtle wheel, one of silver on gold, glimmer on pewter— a frostshine that disappears with the afternoon sun. 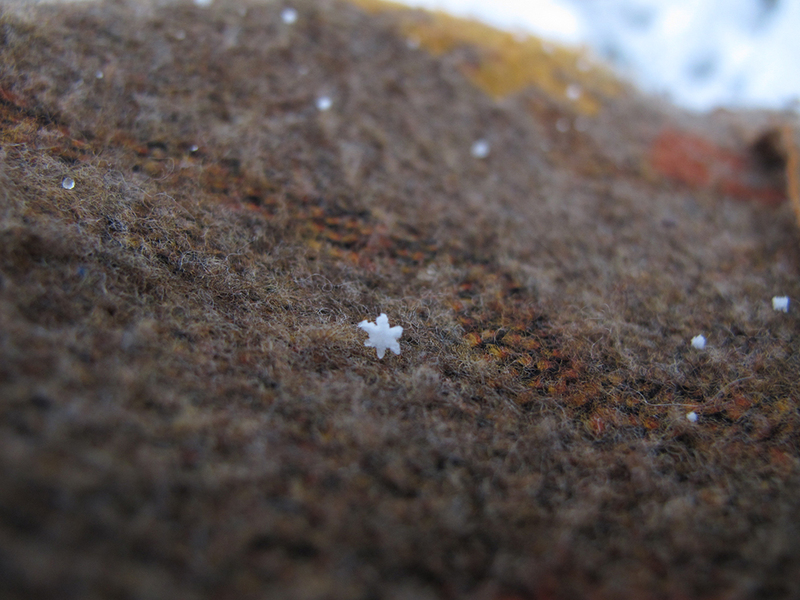 Here, we normally get only a dusting of snow, subtle gusts that come through like the tiniest song. A sonatina, quick and small, relished and then released in warmer winds. 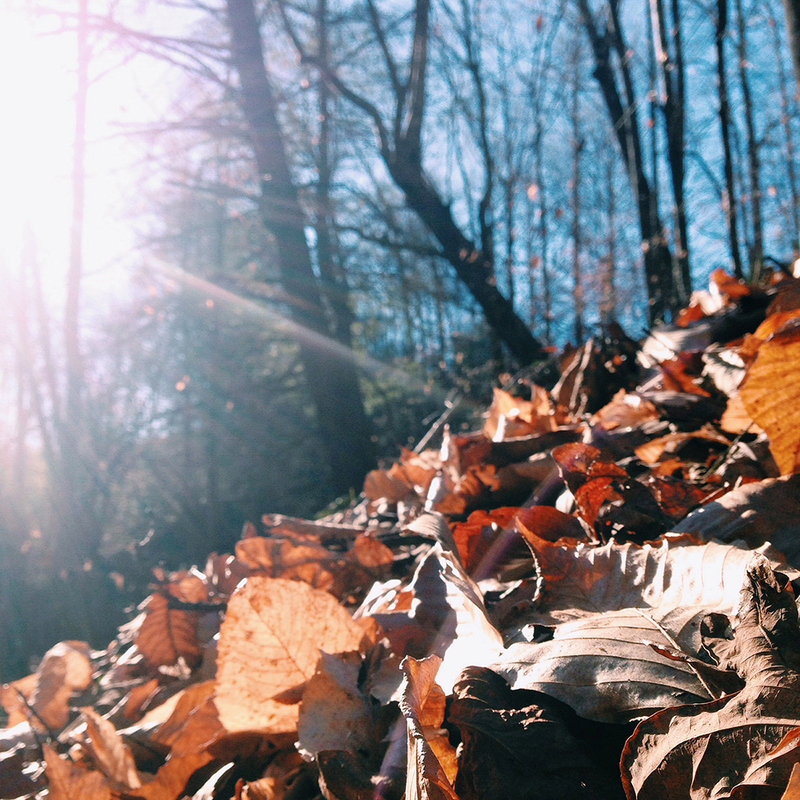 Here, winter is a fawn-colored mixture of dried beech leaves and muddy raccoon prints. Rivers of grey clouds and frost-covered stones. The white pines sigh and reach upwards through the empty forests, bare armed in the white milk of sunny winter skies. The spruce and fir grow imperceptibly. This is a season that belongs to such evergreen, to winter grasses and standing stones. There is a mystery to winter days, a fated subtlety. Even in their sameness, each day turns itself over anew, like the dried bones of yarrow stalks, thrown and scryed for imperceptible hexagrams. As the outer world seems to stay stationary, the inner hues change from day to day— from calmness to tumult, interiority and hope. I’ve always cherished the divinatory mystery of winter. It is the only time when the exterior word is allowed to go fallow and the interior worlds, our innermost places, are given permission to take up all of the sky. It is a time for inner wonderings and wanderings, woven blankets and wool gathering, self-study and the smallest sensual delights. I’ve been cultivating these inner depths ever more richly this year. Researching, gathering and mapping for my newest class series (Winter Intuition School) and beginning the journey of writing my very first book. It has been a time of deep self-exploration, of sea depths and unknown spelunking. It has been a time of seeking hidden treasures and swimming in the conscious unconsciousness. This winter I have been practicing the art of pearl diving. A few years ago I traveled to Florida to stay in a house that had been built and then carried, and then built again, along a cold spring fed river. Only a few minutes walk from the spring’s origin source, we would make daily pilgrimages to its depths. Upon my first visit, I had expected to find a sweet bubbling pond, a crystal clear brook that was all invitation and gemstone clarity. Instead, after a couple paces, I found myself on the edge of an actual chasm, an electric blue crater whose sheer depth was fathomable only by the deepening gradients of sapphire, cobalt and navy blue. It took me a little while until I felt comfortable enough to venture beyond the ledge, a kitty pool expanse where one could sit comfortably with both knees on the shallow under-rock. The distance between one edge and another was punctuated by an enormous blue hole, deeper than an iris and wider than a full-grown whale. Finally, gathering my courage, I pushed off the crushed rock edge and let myself sink feet first, knowing I would never touch the bottom. It was a thrill and a fear, a fantasy and a kind of ecstasy of bravery all at once. Over the course of the next week I went everyday, and everyday it took a bit of coaxing, heart in my throat, to re-approach the sharp underwater edge once more and throw myself eagerly overboard. In many ways, this is how almost every day of my winter has begun. Free diving into one’s own depths requires much courage and bravado. To explore the inner realms often means plunging with naught but your hands and the bellows of your lungs to seek the deepest veins, those that seep warm mineral clouds and hold such surprising life. It requires skill, a practice of patience, and the innate knowing of when to kick and surface. When to return to sunshine and sea waves and rest like a seal on the rise. Such inner explorations is its own kind of pearl dive; what you seek is a rare treasure, one that exists solely within the soft bellied shells of the deep. Traditional Japanese pearl diving was done by women called the “Ama” – sea women. These women of the ocean often lived independently, many of them diving until their elder years in naught but a single loincloth. You do not need to carry much to find such pearls, and here, age is an asset—for it means wisdom and untold skill. It takes great practice to be a pearl diver. Navigating depths with only quick fingers and seaweed strong lungs. In many traditions, the unconscious (or wider consciousness) of the soul was symbolized by water. 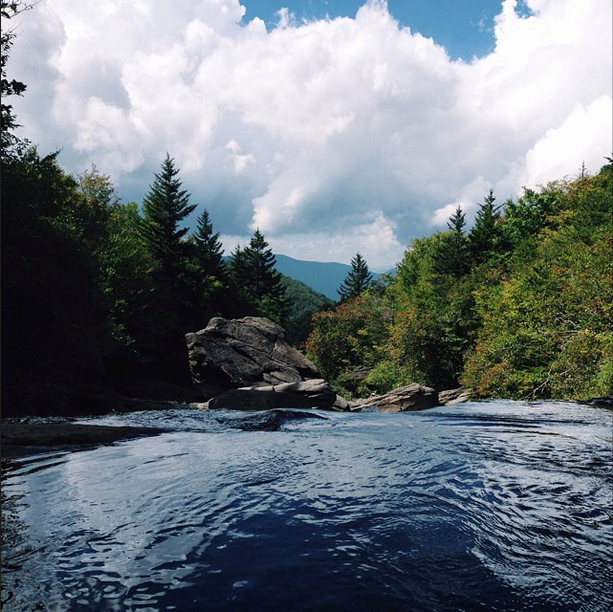 Water is an entirely different medium than earth, an entirely different world. In water, our bodies must learn how to move as another type of species. In the waving depths of consciousness expanding meditation, creative work or shamanic journeying, our embodied selves must learn an even deeper fluidity. Exploring one’s deeper self and opening one’s intuition doesn’t happen or unfold all at once. An Ama must sometimes open a thousand mollusks before she finds a pearl. Such exploration is not built as a ship, simply navigated with wheel and star. You must be committed to diving down, over and over, practicing how to keep yourself alive in other worlds. With each dive, frigid and thrilling, we learn how to go deeper and how to sight the glimmer hidden in the centermost folds. Sometimes, it takes pulling open a thousand shells, each one with a kind of learning, to find that absolutely perfect round of pearl. That opalescent build up of years, the gem that results from a single irritation. The desire, first, to know more. This winter I have been a sea woman, but I have also been a hearth-tender and earth watcher as well. In the midst of such explorations it is always important, vital really, to return to shore. In water, we can be both weightless and as heavy as an anchor. 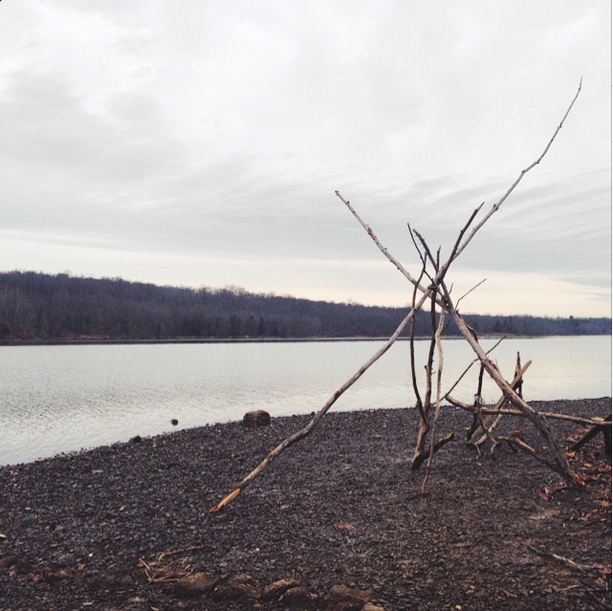 On earth we must stretch these sea bending bones and reground in our solidity. It can be easy, in wintertime, to float away. Whether to different realms of light-bearing consciousness or even into the dark stagnation of our own personal underworlds. 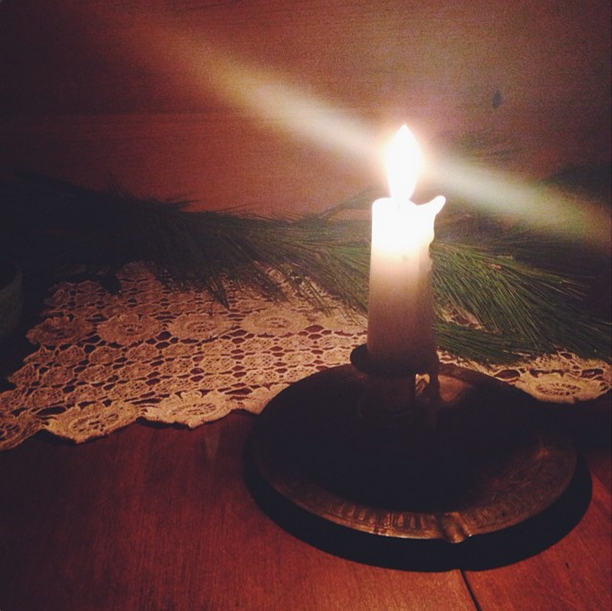 Even in the midst of our deepest mid-winter imaginal navigations, we all must come back to the tangible world— the life-giving practices of fire tending, hearth sweeping, water boiling, bone saving, stock making, tea sipping, drop spinning, nut roasting and reading. Winter exists within the halves of both dark night and dry light. We must keep ourselves balanced and whole. There are many ways to ground in wintertime. Simply getting yourself outside, inspecting ice crystals or the dried heads of winter seeds, can do wonders to re-earth us once more. Often times, on the coldest days, I find that my best grounding happens in the kitchen. Like a sea-farer arriving home to a salt-creaked cottage lit by puffs of woodsmoke, I am often eager to get my fingers in sacks of winter-stored roots or kneaded dough. In winter, I seek balance within the insides of most things. My home, my heart, the marrow in fresh cooked bones, the sweet blood of oranges that travel hundreds of miles from their Florida homes. I find balance in beginning an evening with a single recipe, working my way from the inside out. Shortly before the holidays I fell in love with a new chocolate stove-top concoction, created from the core of such interior magic. It has been my dark winter companion ever since. After a full day of deep diving, long travels through inner places seeking pearls, I return home to rough-hewn cups of this Chaga Hematite hot coca, sip and rest once more in the nurturing opportunity of this dark and mysterious Winter’s embrace. 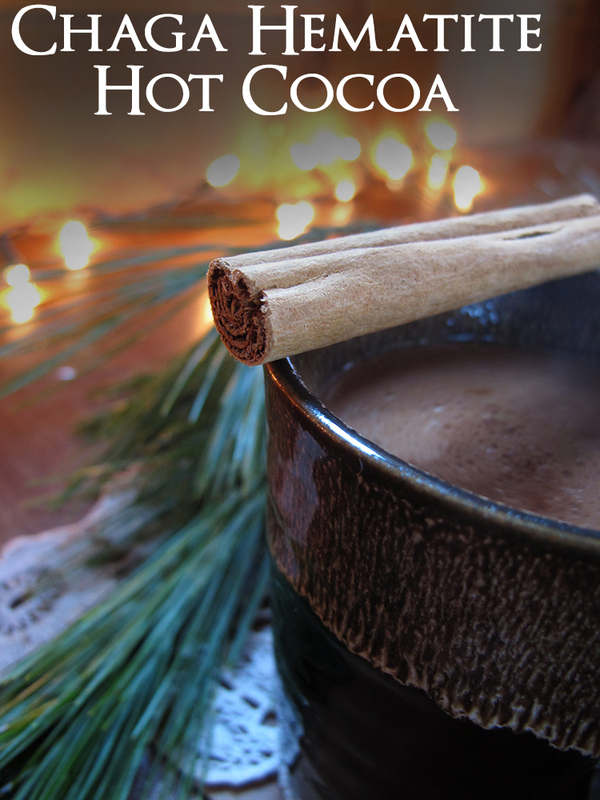 Dark, earthy, and profoundly grounding, this mystical hot cocoa will settle you in to the warm and nourishing delights of wintertime embers and star rich skies. Crafted from the stone that lies at the center of our earth and the mycelium within and underneath every inch of soil, this drink is a hearty root bringing you back to the warm heart of the day-to-day world. Sweetened with maple syrup and lightened with rich sea-foam dollops of coconut milk, to bring in the milky remembrance of diving for the deepest pearls. 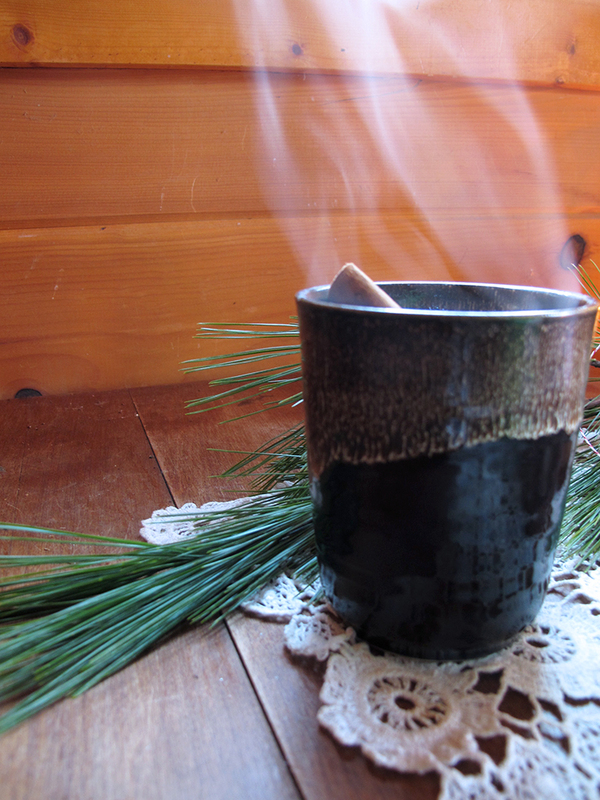 Warm yourself a cup of Chaga Hematite Hot Cocoa and settle in for a profoundly meditative wintery evening. Place a piece of hematite in 1.5 cups of water. Let infuse anywhere from one hour to overnight. Pour the water off your hematite into a separate pot. Decoct Chaga. Combine chaga with your hematite water and bring to a boil. Reduce heat to a simmer. Cover and let churn for at least 20 minutes (or until your tea turns to the shade of dark wood). When your decoction is done, strain the tea into a separate container. 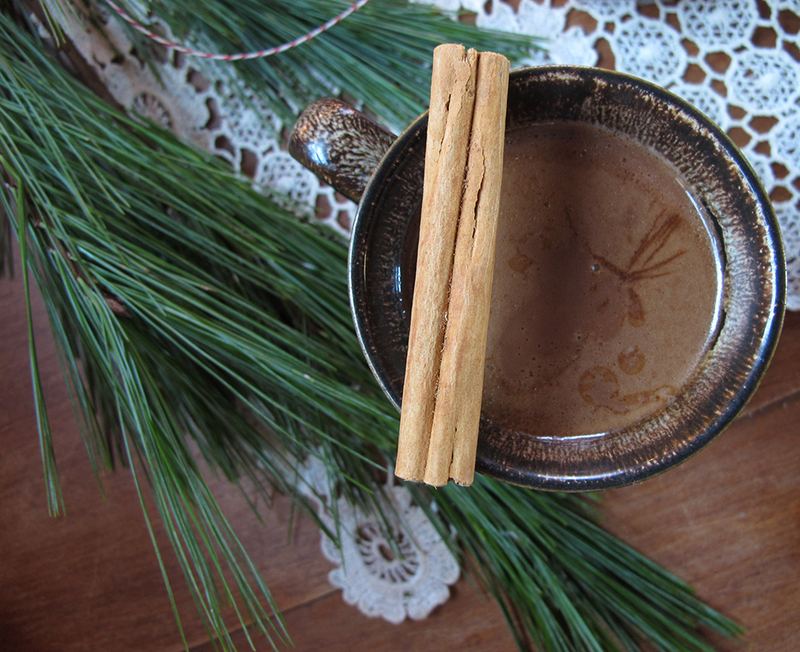 Garnish with a cinnamon stick and make a toast to all rich and nourishing worlds! Chaga is a medicinal fungus that shows us the literal roots of the world. Often called a mushroom, Chaga is actually an outgrowth of the mycelium (or root system) of the fungus itself. 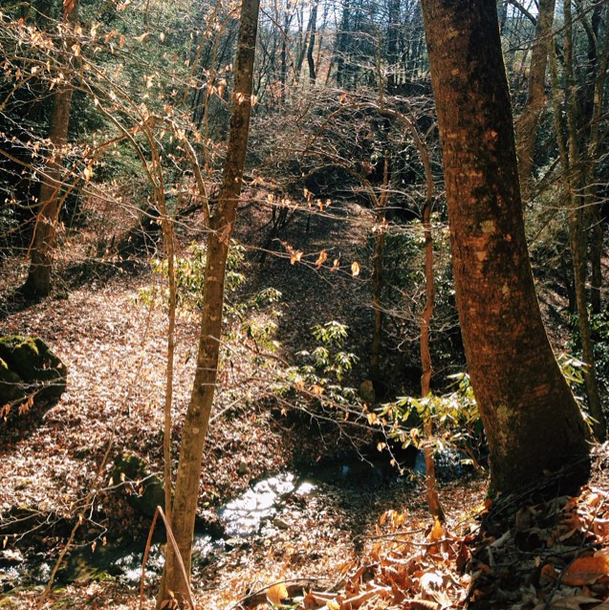 Found most often on black birches in our Appalachian forests, chaga is a nourishing immune tonic. Antiviral, immune modulating, and adatogenic, chaga is an indispensable wintertime decoction in the far northern climbs of Russia. 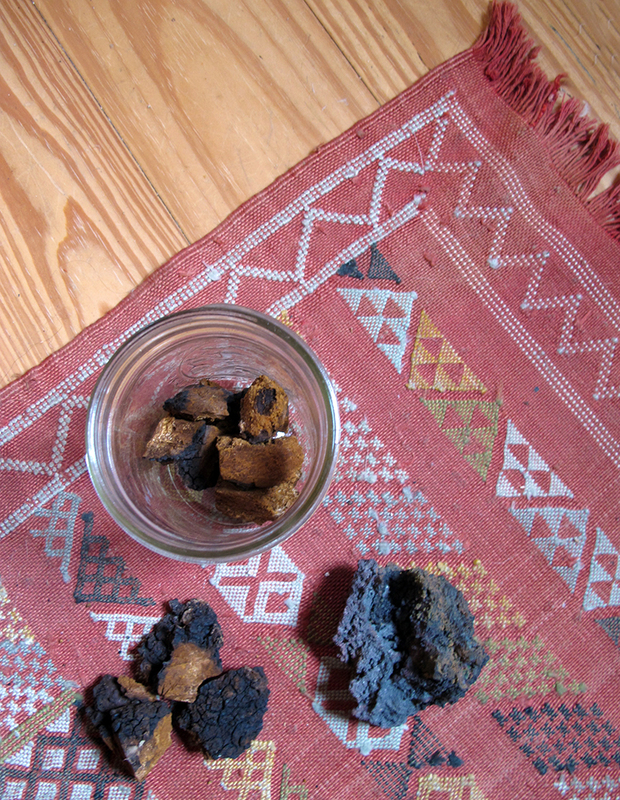 Simmered for half an hour or more, chaga makes a rich but mild tea high in antioxidants. Traditionally used internally for cancer, chaga has been shown to have an antitumor effect in clinical trials. Also called tinder fungus, chaga is renown as an excellent ally for catching coals of fresh drilled hand-fires and holding the spark for a deep amount of time. A vital companion for travelers and those who need to bring the spark of new life with them whenever they go. Chaga has been used in this way for thousands of year, it was even found in the pouches of Otzi, the Copper age man who lived and died in the Alps around 3,300 BCE, and who slept in the alpine glaciers on the border of Austria for thousands of years. 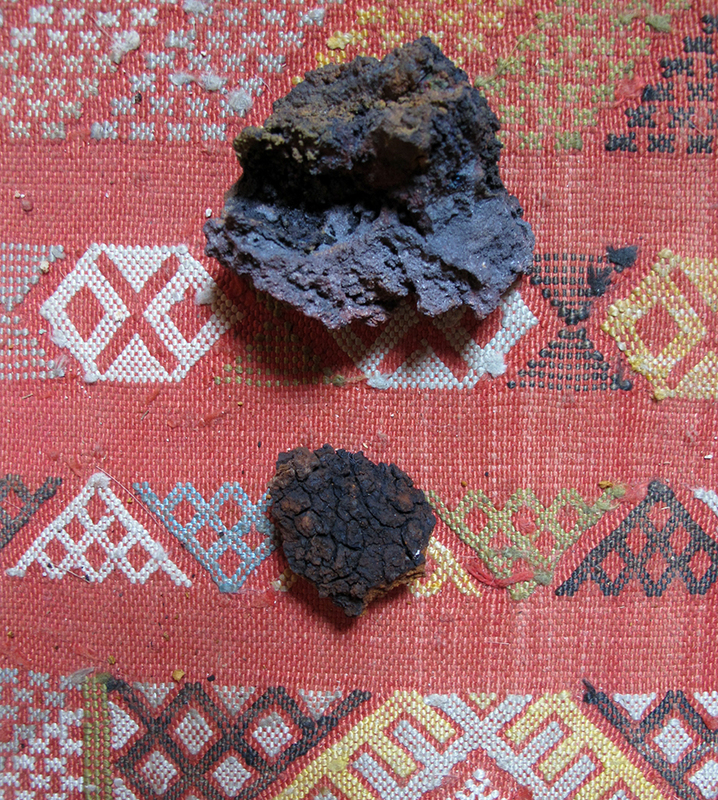 Chaga is an ancient medicine of fire and continuance. Bring this nourishing companion into your world of tea kettle and late night inspiration and ignite a spark this winter whose embers will carry you through untold distances, perhaps, even, until the spring.